How many highway systems does Texas have? Let's face it; Texas is enormous. Even its highway network is considerable. I only know of the Interstates, US Routes, State Highways, and FM Routes. I'm sure it has even more than what I listed. Re: How many highway systems does Texas have? As big as Texas is, it's not big enough for General Highway Talk. Texas also has loops and spurs. It has ranch-to-market (RM) routes, which are similar to the FMs except they tend to be in west Texas. And there are a few Park routes, as well as NASA 1. I'm not sure I have everything. You can see the full list on this page. There are Interstate, US and state highways. In the state highway category there's a subcategory of loops and spurs, which share a number pool (there can't be a loop 2 and a spur 2). Beltway 8 has a different title but is listed in the loop and spur system. In the loop and spur subcategory is the sub-subcategory of Park Roads, which serve some state parks and has its own number pool. Also, all business routes, including Farm to Market Road business routes, are in the state highway system. These are numbered according to their parent routes. There is a NASA Road 1, which I think is a subcategory on the state highway system with one road in it. The Farm to Market and Ranch to Market Road system also share a number pool. Some FMs and RMs have spurs. These are signed with state spur signs but are not a separate system because they are not designated separately but are part of the parent route designation. Urban Roads are technically a separate system, but are signed as FM or RM roads and are continuous with any FM or RM road of the same number. There is one Ranch Road, RR 1. It's signed like a Ranch to Market Road, but for some reason it has a separate system all to itself. It runs between the LBJ State Park and National Historic Site, which is where he was born and where Lady Bird lived until she died, so it's a somewhat extra-special road. There is a Farm to Market Road 1, because the two systems do not share a number pool. There are Recreation Roads that serve some non-state parks. There are 11 of them, numbered 2 through 11 and 255. There are five US Highway Alternate routes. There's also the PASS system (Principle Arterial State System). These are unsigned routes that run along certain urban arterial roads that get state aid. I guess this counts as a state highway system, but there's no evidence of it on the roads. The list on the page I linked to gives 17 systems, counting each class of business route, but not the NASA Road, separately. There are no US Alt business routes, but that makes for a potential 18th system. 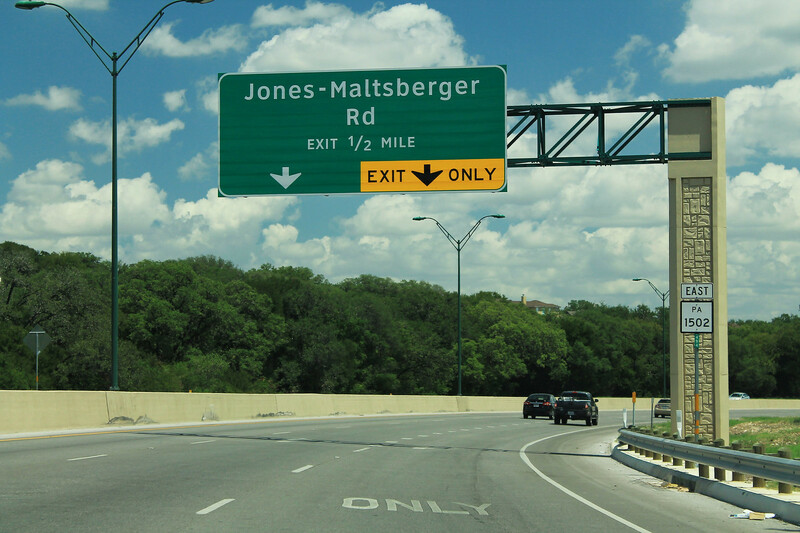 There's a few reassurance shields, and US 281 goes as far as to erroneously sign it as SH 1502. It’s a fascinating highway from a roadgeek perspective. From what I understand, the “1502” is a paper designation that wound up being signed, presumably because an unnumbered state-maintained freeway would have been odd. Dallas North Tollway, Chisholm Trail Parkway, Hardy Toll Road, and the road leading to IAH airport all seem to be unnumbered, and they're in the same state. Wow, amazing. I figured those would be back-burnered or not even on the stove by now. And there's actual signage?? And really, for where they are and what purpose they have, they might as well be part of the primary SH's (not a whole separate category), since SH numbering only goes into the 3nn's with an exception or 2. I wonder if the Designation File definition (http://www.dot.state.tx.us/tpp/hwy/pa/pa1502.htm) matches what's out there and signed. Somebody at the decision-making kids' table at TxDOT/NTTA/HCTRA doesn't like to number any (or all?) the tollroads since they're not considered free primary state highways. They get around that somehow with those central TX, Arlington/Mansfield, Tyler, and TEXpress lane exceptions, I guess. Anyway, I don't know if we'll ever see numbering on the named tollroads anytime soon. Finish I-49 north in LA! 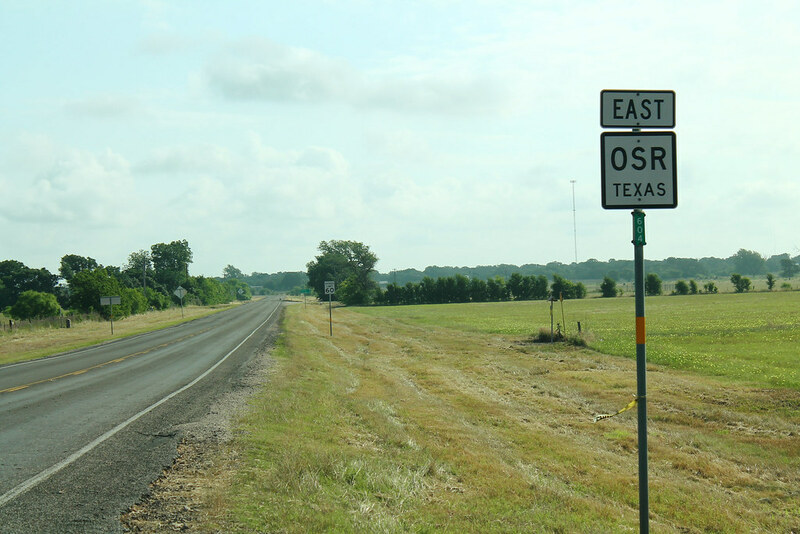 There is also the OSR (Old San Antonio Road). When I looked it up, both OSR and NASA 1 fall under State Highways. That's very interesting that there's a signed PASS route. Regarding the toll roads, NTTA and HCTRA roads are not state highways and are not numbered for that reason. Some of them have frontage roads that are numbered highways. The Grand Parkway is a TxDOT road and is numbered SH 99. For some reason, most TxDOT toll roads are in the Austin area, and those are numbered highways. 183A and the 290 and 71 toll roads are CTRMA roads and are not state highways. They're named after the numbers of adjacent highways. 183A was initially considered as a TxDOT road that would have been designated as US 183A. Around Tyler, Toll 49 is another RMA road that is not a state highway but was built on the route planned for Loop 49. The Brownsville area RMA maintains two designated highways, SH 550 and I-169, on one of their toll roads. You seem to be asking about number pools. We could count NASA Road as a separate number pool, because it is not SH 1, a designation that is unused and reserved for special use. I count 16 different times the same number could be used on a separate system (multiple times in the case of business routes). I'm counting FM Spurs in this list because it is a reuse of a number on a different road. I'm also interested in the total number of designations, regardless of number pools. I count 22, with the potential for a 23rd, Business US Alternate. I would guess it would be abbreviated BA if it were established. I'm counting OSR as a state highway, just named instead of numbered. I see that shield and my first thought: Pennsylvania highway 1502 without the keystone. Runnin' roads and polishin' rails. There is also the OSR (Old San Antonio Road). Reading your question again, I think I misunderstood the first time. There are 5,201 designation files. Some roads are designated but not yet built. Some designations have been cancelled and not reused. Most of the PASS routes are not signed. I think it was as simple as TxDOT not numbering roads they don't own but being willing to accept the local authorities using numbers. The numbered toll roads in the last 20 years are all either new corridors built by TxDOT or upgrades/bypasses/extensions of existing highways. Another noteworthy quirk: while loops and spurs nominally share the same number pool, there is exactly one number that is duplicated between the two: Loop 19 and Spur 19 coexist in Ringgold. These two routes intersect each other and they share a designation file. They are also both signed, although there is exactly one Spur 19 shield. Spur 19 and the half of Loop 19 south of the intersection between the two are a former alignment of US 81. But it is big enough for its own Regional Board. My understanding has likewise always been that SH OSR comes out of the SH numbering pool. I don't see how TxDOT can have Business Alternates and stick to the two-letter abbreviation system for route type designators. BA of what? Regarding the toll roads, NTTA and HCTRA roads are not state highways and are not numbered for that reason. Some of them have frontage roads that are numbered highways. AIUI, in the TxDOT maintained roadway segment records, a freeway and its frontage roads can be under a common route designation, or the freeway and frontage roads can have their own separate designations, no two being required to be part of the same system. I last looked into this in depth before express lanes were rolled out, and I suspect similar options may apply to them for segment recording purposes. Signing strategy has evolved over time. NTTA used to have separate markers for each of its facilities, but has now gone over to a common design where only the facility abbreviation varies (e.g. "SRT" for Sam Rayburn Tollway, "CTP" for Chisholm Trail Parkway). At one time the PGBT was supposed to be SH 190; then it was "PGBT" in a SH shield; then just "President George Bush Turnpike" in text; and finally now it is "PGBT" in the common shield design. Early on in the Katy Freeway expansion, the signing concept for the toll lanes called for "Katy Tollway" in the common shield design for HCTRA facilities (modelled after the county route pentagon). I have tons of as-let signing plans with this design. Midway through construction, TxDOT and HCTRA decided to use TxDOT's then-new Toll Interstate shield design (which looks awful because it uses a "bubble" Interstate shield), and I have seen as-builts with this. Now TxDOT appears to be experimenting with a modified Express Lanes shield for the SH 288 express lanes currently being built near Houston. OSR is a state highway. If you go to the highway designations page and select a route type but enter no number and hit "search" it will list all routes of that type in numerical order. If you go to the last page (there's a direct link) of state highways, NASA Road 1 and OSR are listed last. I suggest BA because there are no other "alternate" systems in Texas. I wonder about frontage roads. I remember reading that Interstate frontage roads were considered a separate highway system (something I didn't include in my earlier list because I didn't remember at the time). I can't find documentation showing that, but I remember seeing things like the mileage being recorded separately. I don't know if that is still the case. Other frontage roads are considered part of the highway system the freeway is a part of. 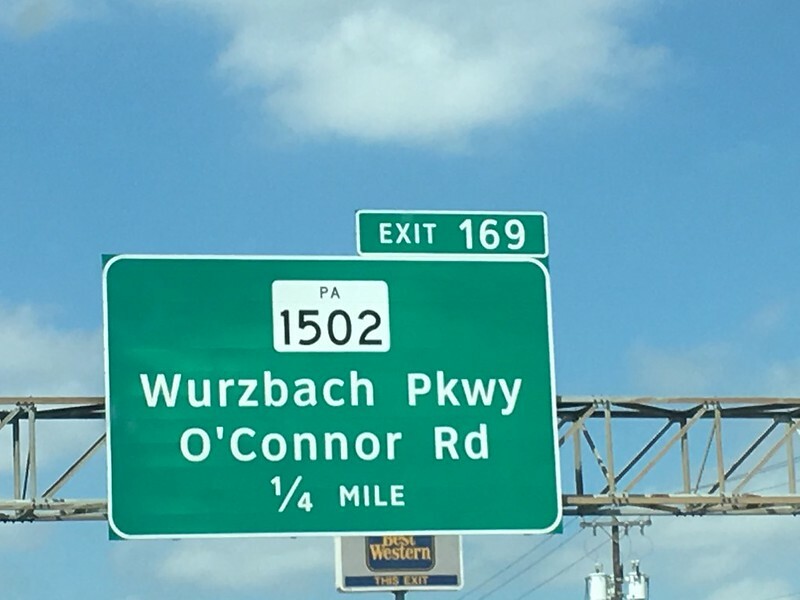 At entrance ramps, the signs show the highway being accessed by that ramp, as if the frontage road isn't part of the highway. There are places where you can't follow a highway route along frontage roads because the road ends or turns around under a bridge, which suggests to me that it shouldn't be considered part of the designated highway, but as a functional accessory to it, such as ramps or turning roadways. Sometimes a designated highway functions as a frontage road, such as US 183 where it parallels SH 130 or other toll road frontage roads (the mentioned pair is the only case I know of with a highway being a frontage road for a different highway), or runs along a section of a frontage road, such as FM 51 alongside US 81/287. In those cases the designation is obvious, but in other cases, it's ambiguous. All of the managed lanes I've seen are signed as the same highway they function alongside. One oddity I've noticed is apparently old signage still showing the south part of SRT as SH 121 Toll. Another place this happens is Port Bolivar, east of Galveston. Loop 108 turns off of (and returns a few blocks later to) TX 87. Spur 108 turns off of one of Loop 108's corners, going further into town than Loop 108 does. The Designation File (http://www.dot.state.tx.us/tpp/hwy/sl/sl0108.htm) also combines them (as in your example), but strangely, doesn't show any of the back-office particulars (minute order timeframe, designation date, etc). Another rarity/quirk I stumbled on a while back was a regular Spur and an FM Spur with the same number. Spur 54 is in Harlingen just north of the I-69E-US 77/I-2-US 83 interchange, while FM Spur 54 is in Petersburg (SSE of Plainview) along a very short previous routing (the way it looks, anyway) of FM 54. That instance is a big reason IMO that TxDOT should not do the same-style Spur shield for both types of Spurs. They could do the FM Spurs with a SPUR banner over an FM or RM shield. I guess since there's not that many of them, that they either haven't thought about it, or they don't care.